Crazily enough, this children’s novel is the second I have read in the last two months that is rooted in an historical leprosy colony, and explores the effects on families and society. The other novel is Lauren Volk’s Beyond the Bright Sea. Millwood Hargrave’s second novel, The Island at the End of Everything, is set in Culion in the Philippines, which in 1902 was established by US forces as a leper colony. Ami’s ‘touched mother’ gives birth to her on the island, and they live fairly simple lives until Ami’s thirteenth year, when US forces take over the island and decree that it is to be home for the ‘touched’ only, and they ship in many more lepers, segregating them from the untouched. The new governor then strips the island of the disease-free children and ships them to an orphanage on another island, so Ami takes it upon herself to find her way back home. The story is told in Millwood Hargrave’s lyrical style, with her zing of brevity that wings the reader through the book. She has a poet’s eye for relaying a scene swiftly without flowery embellishment, managing to write vivid descriptions that all strive for the specific. The Philippines lend themselves to this prosaic style, and their lush landscapes are brought sharply into focus – the scent of oranges and colour of butterflies remain long after the book is finished. The prose is startlingly different from Lauren Wolk’s book. There are no truisms spoken here, although they do exist – they are more subtly buried in an undercurrent of the adventure. But Hargrave’s characters are equally impetuous – particularly Ami herself and her friend Mari – they do not stop to think or listen to the grown ups around them, but take matters very much into their own hands. This plays with a general theme in current children’s fiction in which children often try to please their parents, not realising that they have misunderstood the essence of what will make their parents happy. Millwood Hargrave also brings in her now characteristic element of writing strong female protagonists, and managing to instill a slight feminist agenda – in that she shows her protagonists’ ability to act equally to the boys around them, despite them often being belittled by older boys or men. But above the layers of all this, is a page-turning adventure story, packed with verdant scenery, and a demonstration of characters’ defiance against hatred and judgement, and their defence of love and friendship. There’s a sort of ‘no man left behind’ feel to the adventure, which is populated by good people, especially children, who are all overcoming adversity and striving to do well. I actually preferred its simplicity and pace to the Millwood Hargrave’s debut, The Girl of Ink and Stars, for which she won the overall Waterstone’s Book Prize. Island feels more effortless, as if it flowed from the pen more easily, and is a kind of flawless adventure that definitely fulfills the author’s aim in showing children how to wonder at the wonders around us. I can’t wait to see what she does next. You can buy a copy of Island here. There aren’t many TV programmes that pull the whole family together for family viewing time any more. Maybe X-Factor or BGT. But one that still has resonance and meaning, and is guaranteed to pull a family crowd, is a documentary from Sir David Attenborough. So when I heard that Fish Boy by debut author Chloe Daykin was about a boy who channelled the voice of Sir David in his head as part of the narration, I was more than intrigued. I was super excited. 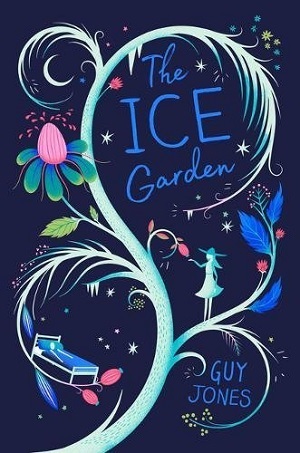 For any of you out there who know a boy who is tentative about reading, but gripped by facts of nature or animals, and loves the environment – this is an intriguing premise. However, it’s not quite as I thought, less about channeling the facts of nature, although there is plenty of that, but more an invocation of Sir David’s soothing tones, his lilting voice, his reassurance, and this, above all is what gives Fish Boy its ultimate charm. Billy is picked on at school, feels and acts like a bit of a loner, and added to that his Mum is sick – an undiagnosed dragging sickness. Living by the sea proves to be his perfect escape, especially as one day a sense of magic seems to come alive under the water, (more than a sense of magic – almost a dreamlike second dimension). 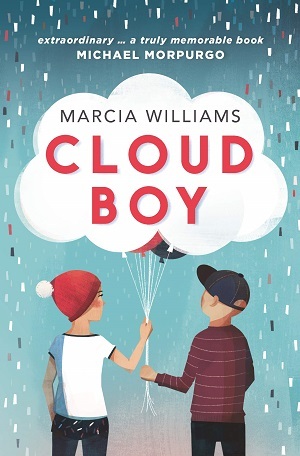 Then a new boy starts at school, and changes everything – the way Billy thinks, his time at school, and most importantly how he views his family. There is an element of surrealism about the book – a large element, in that every time Billy goes swimming he becomes ‘one’ with the fish, swimming with them, communicating with them. For some children, this might be offputting, although if like me, you like a bit of quirkiness chucked in with the realism (think David Almond in particular), then this is the book for you. What could venture into the bizarre and zany, rests beautifully in Daykin’s hands, as her prose is sparkling, unique and captures Sir David Attenborough’s calming and soft overtones. It lulls the reader, and soothes them, so that the overall effect is rather like being underwater. There’s no satisfying explanation for the adventures under water with the fish, which perversely serves to make the book more satisfying. Some things in life are just unexplained, just mystical, and that’s fine. What is resolved is the friendships and family conundrums. Most particularly, the resolution between Billy and his mother is poignant, as towards the end she is diagnosed – but more than just having an answer, Billy comes to an acceptance of what’s happening with his family. It’s uplifting and hopeful. With swirls of humour, as well as some fairly frightening undercurrents, this is a refreshing read – quite unlike anything else I’ve read recently. And what pulled mainly for me was not so much the story, as the fact that Daykin’s prose matches her story – typical modern boy/parent dialogue pared with short sharp pithy prose when swimming – almost as if it’s mimicking the short flap of a gill as a fish breathes – but also all massively imbued with the character of Billy. Clever. Watch out for her second, it’s sure to swim freestyle too. You can buy it here.